Give your daughter a special message on her birthday with this stylish greeting card from Paperlink's Love & Laughter range. 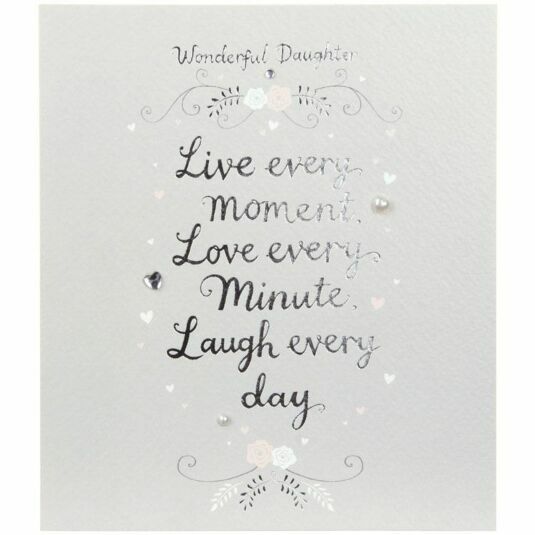 The message on the front of the card is written in reflective silver writing and reads; “Wonderful Daughter, Live every moment, Love every minute, Laugh every day”. It comes with raised diamante hearts for an extra sparkle.